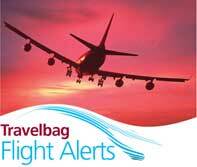 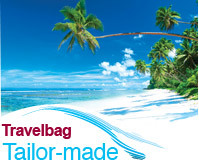 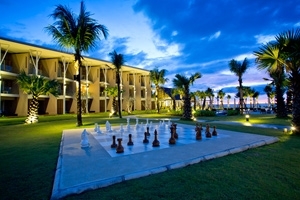 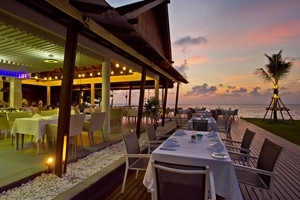 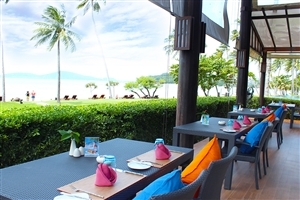 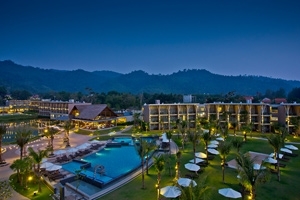 Make your way to the heart of South East Asia, to the sparkling gem that is Thailand. 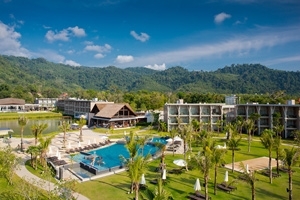 The island of Phuket is enthrallingly beautiful and perfectly captures a mix of traditional Thai values and culture with modern ways of living, before venturing further north for five nights in up and coming, yet still enchantingly relaxed Khao Lak. 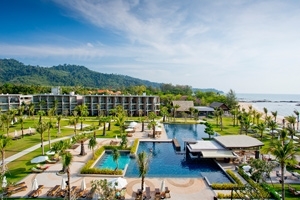 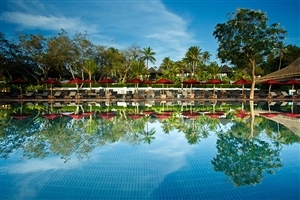 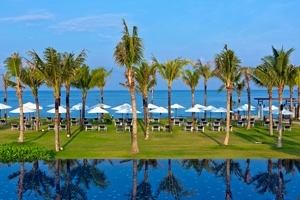 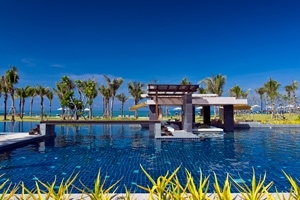 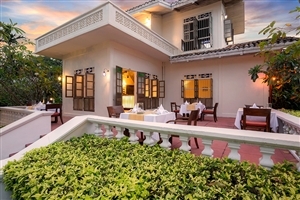 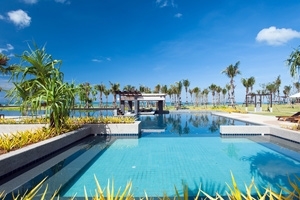 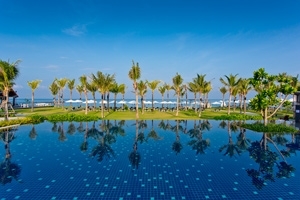 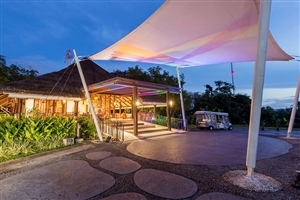 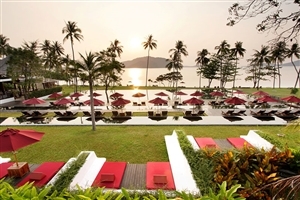 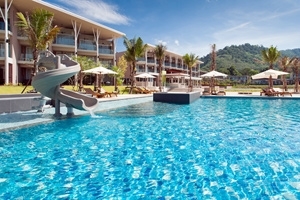 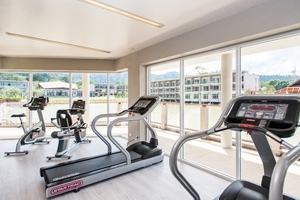 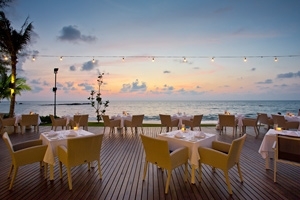 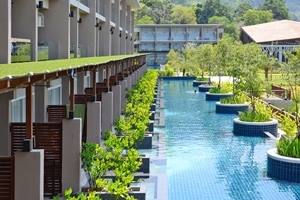 Tucked into Khao Lak’s lush foliage and facing out onto the tranquil Andaman Sea, The Sands by Katathani endeavours to go the extra length to revive, refresh and rejuvenate your senses, with its promise of modern, elegant accommodation, generous amenities and outstanding dining opportunities. 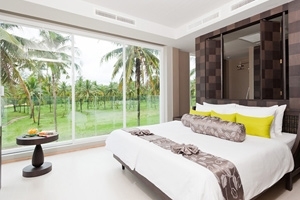 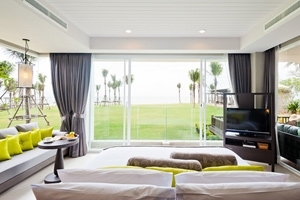 Choose from an array of chic and stylish guestrooms and suites, many of which overlooking the sparkling waters, and take advantage of your privileged location to stroll out onto Khao Lak’s iconic white sand beach. 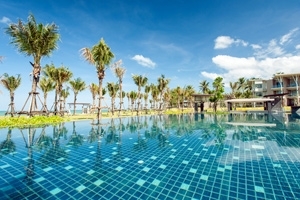 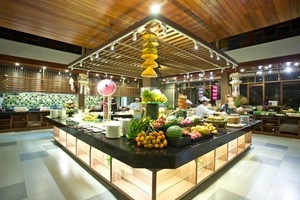 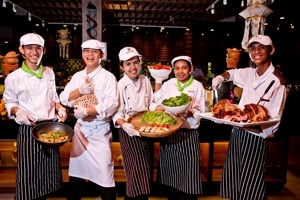 Perfect for couples and families, feast on delicious cuisine at The Floating Market and Talay, indulge in a pampering spa treatments, relax in the large beachfront swimming pool and enjoy the many sporting activities on offer. 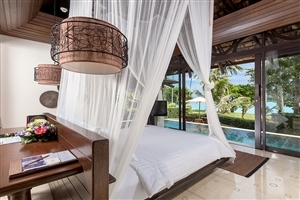 The Sands rooms at The Sands by Katathani offer 45sqm of accommodation space, with modern amenities and stylish décor creating a harmonious ambience befitting of the beautiful tropical surroundings. 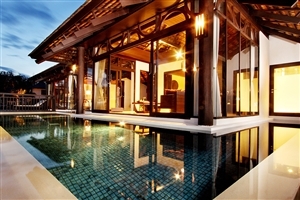 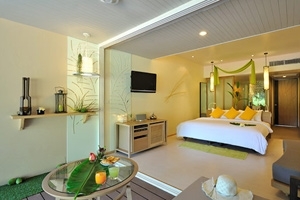 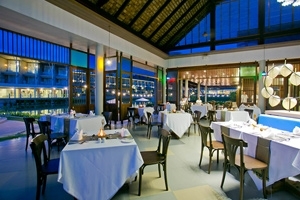 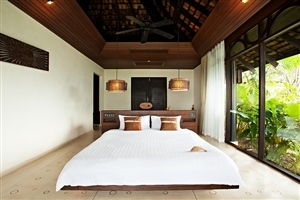 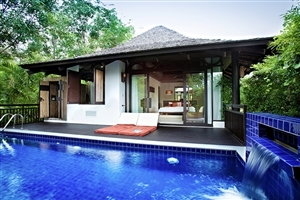 The rooms face the garden or lagoon from the private balcony. 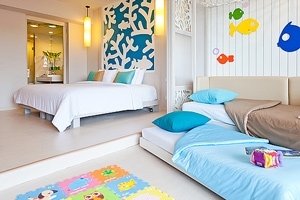 The Family rooms at The Sands by Katathani offer 55sqm of accommodation space and has been designed to sleep a family of four with its additional single beds. 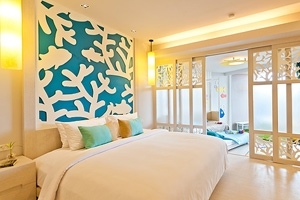 A sliding door can be used to ensure greater privacy. 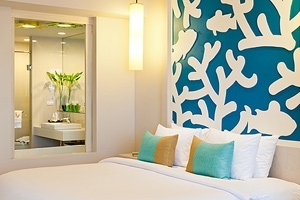 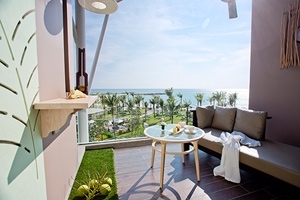 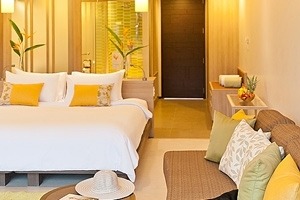 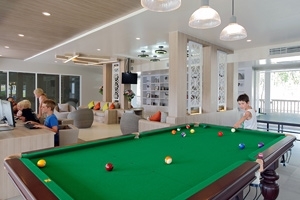 The Seaside Junior Suite at The Sands by Katathani offers 55-65sqm of accommodation space and faces out across the ocean from the day lounge and balcony. 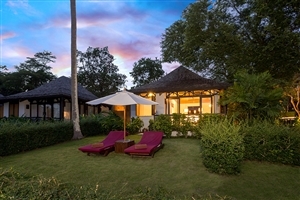 The Pool Access Junior Suite at The Sands by Katathani offers 65sqm of accommodation and enjoys direct access to the resort pool, complete with private pool section adjacent to it, making it the ideal choice for couples on a romantic holiday. 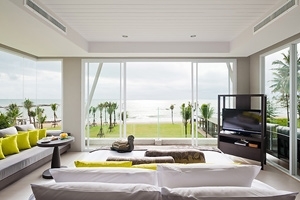 The One Bedroom Sea Suite at The Sands by Katathani offers 100sqm of accommodation space, complete with panoramic views of the Andaman Sea to be enjoyed from the airy bedroom. 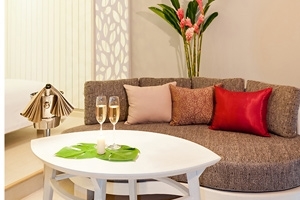 A grand private balcony extends beyond the living area, while upgraded features include a Jacuzzi and rain shower. 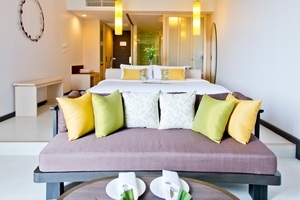 The Two Bedroom Sea Suite at The Sands by Katathani offers 100sqm of accommodation space and can sleep up to 4 people with its two bedrooms, containing a king-size bed and two twin beds. 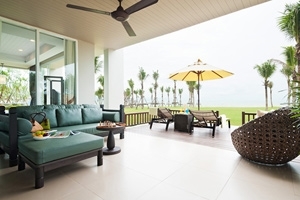 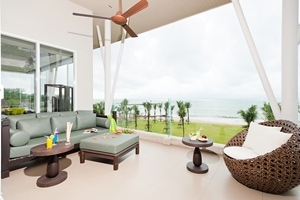 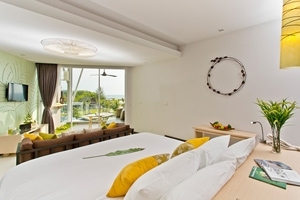 With stunning views of Khao Lak Beach, the Suite adds an indoor/outdoor Grand Balcony living-space, plus a private Jacuzzi overlooking the garden.